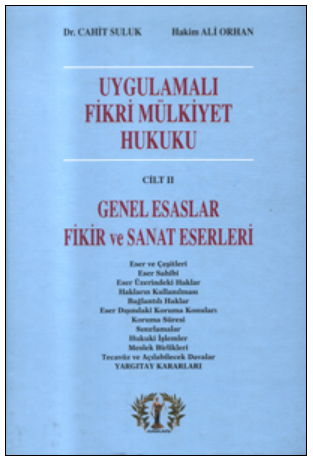 Our new book “Regulations on Turkish Intellectual Property Law” is published on May 2018. 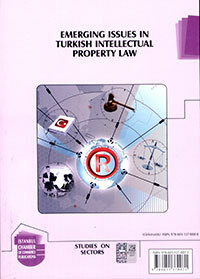 Suluk Intellectual Property Law Firm is a highly prestigious and renowned law firm in Turkey that provides boutique services to a wide range of clients from individuals to multinational corporations exclusively in all areas of IP, especially on trademark, patent, design, copyright, information technology, media and unfair competition law. Our Office services both litigation and prosecution. We work on groundbreaking cases, directly involving in the latest developments in pharmaceutical, software, electronic, manufacturing, telecommunication, publishing. broadcasting, textile, food and many other industries. Our firm's mixed team of lawyers and trademark attorneys are based in Istanbul. We also have an established office in Ankara where Turkish Patent and Trademark Office is located. Our main priority is to give the best service at every level of disputes and to present and offer alternative solutions in identifying ways to achieve successful results. 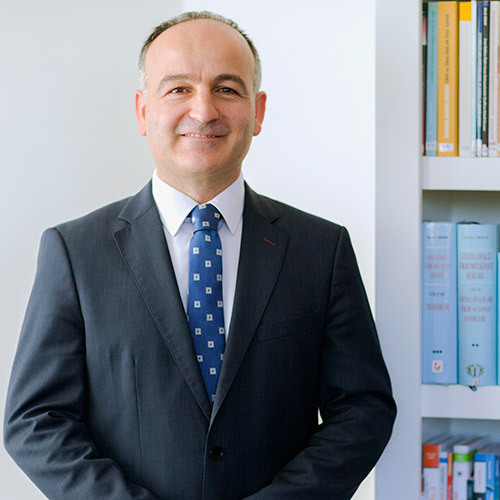 Dr. Cahit Suluk is the founder of Suluk Intellectual Property Law Firm, a highly-regarded IP strategist and litigator. Dr. Suluk graduated from the Faculty of Law at Istanbul University in 1992. He obtained his PhD in 2000 on design protection. He has been active as a lawyer at the Istanbul Bar since 2001. 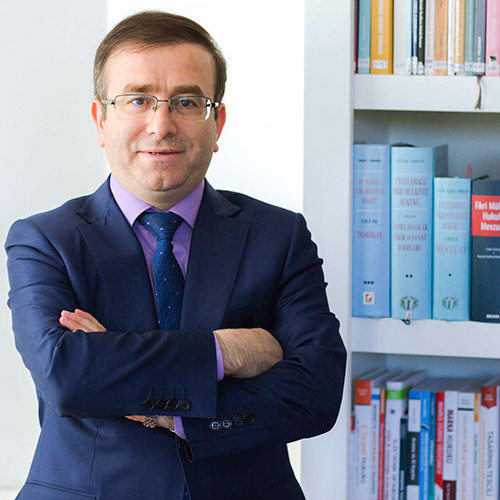 Having a wealth of experience in every area of intellectual property, combined with academic knowledge, Dr Suluk is one of the best-known practitioners in Turkey. He provides legal consultancy to many national and international clients active in different sectors, including media, food, pharmaceutical, clothing, technology, cosmetics and domestic appliance. Dr Suluk has been creating valuable strategies for his clients and obtaining favourable results in complicated patent cases, especially in pharmaceutical patent law. He is also active in trademark and design law, and has been referred to as a sole expert in Turkey in design law by international ranking authorities. Regarding copyright cases, Dr Suluk represents leading media organisations in Turkey. He also had a major role in establishing some of the Turkish copyright collecting societies and provides them with regular legal services. Dr. Suluk is not only a distinguished and reputable IP litigator and strategist, but also a highly respected academician and lecturer. He conducted research on his habilitation at the Max Planck Institute in Munich. He has published 12 books and over 40 articles, and issued nine papers on IP law to date. Dr Suluk served as visiting lecturer at principal universities in Istanbul and is still active as an assistant professor at Sabahattin Zaim University. Dr Suluk’s IP-related academic research studies and publications are followed by a large audience, including judges, lawyers and academics. His publications are cross-referenced in first-instance and Supreme Court decisions and often used by IP experts. He contributes to the drafting of IP regulations (eg, the new Turkish Industrial Property Act and revised Turkish Copyright Act). Practice Areas: Trademark, Patent, Design, Copyright, IT&Media, Unfair Competition. Memberships: AIPPI, ALAI, INTA, Istanbul Bar, Turkish Patent and Trademark Office, Istanbul Chamber of Commerce Commission on IP. Bahattin Carkaci is graduated from the Faculty of Law at Istanbul University in 1998. He lived and participated several certification programs in Canada during 2000-2007. He completed International Business Management Program at Sheridan College Ontario. Since 2008 he has been continuing his career in Suluk IP Law Firm as a Lawyer. Mr. Carkaci advises on and litigates IP matters, with an emphasis on trademark, design, patent, copyright, unfair competition. He has extensive experience in IP litigation, both before first instance and appeal courts. Practice Areas: Trademark, Design, Patent, Copyright, IT. 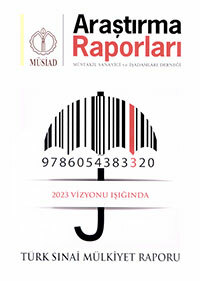 Memberships: AIPPI, ECTA, ALAI, INTA, MARQUES, Istanbul Bar, Turkish Patent and Trademark Office. 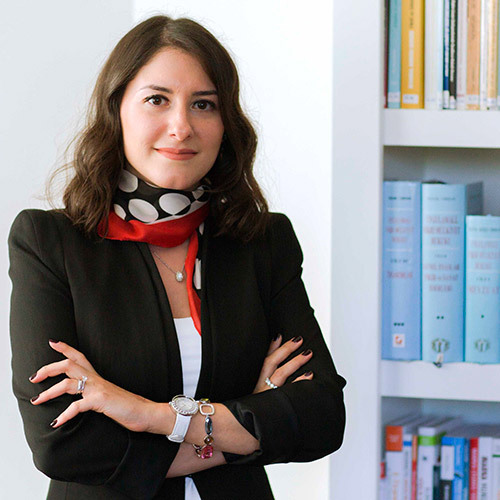 Zeynep Balçık is graduated from the Faculty of Law at Marmara University, Istanbul in 2008. Before joining Suluk IP Law Firm, she practised Commercial Law, IP Law and Advertisement Law at various well-known law firms in Istanbul. As a member of Suluk IP Law Firm since 2011, she provides litigation and prosecution services to local and international clients majorly related to trademark, design, domain name and trade name matters. Practice Areas: Trademark, Design, Domain and Trade Name. Memberships: INTA, ECTA, Istanbul Bar. 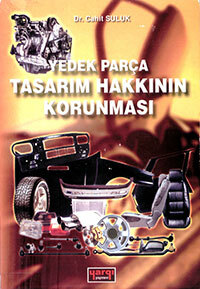 In this PhD study, thesis of the author (Dr. Cahit Suluk), spare part design one of the matters mostly discussed is examined. In the study, the legal status of normal parts, must match parts and must fit parts are one by one examined The most problematical issue in the spare part designs nowadays is must match part designs and the root of the study is this part designs. As it is known, the principle of territoriality is accepted for the IPRs. Pursuant to the principle, the requirements of the laws of the country where the protection is requested for the right must be fulfilled. In this context, the IPRs such as patents, trademarks and designs must be registered in the country where the protection is requested. However, the regulations relating to protection without registration are reserved. Therefore, the international agreements are accepted in order to simplify the right holders’ work. By these agreements the application and registration procedure are majorly simplified. However, it could not be said today that the patent or design registered in a country is protected around the world or in a country party to an agreement since these agreements does not remove the principle of territoriality. However, today there exist also some formations in the world which remove the principle of territoriality. The regulation in the Community Law is the main one. The regulation in the Benelux countries (Belgium, the Netherlands and Luxembourg) is again the similar. The Community Trademark and the Community Design are accepted in the Community Law. The works on the Community Patent failed for now. However, an agreement was executed for the sole effect of the European Patent (the unitary patent). The Community Trademark and the Community Design certificates effective in the Community has 28 members could be obtained today. The Community in terms of these certificates has a function like a country in fact. By putting into effect the Community Trademark from the year of 1996 and the Community Design from the year of 2002, it is possible for the Turkish citizens also to benefit from this easiness granted to the owner/holder of the trademark and design. In this study, it was mainly examined the Community Design. In the Community Law there exist two type protections as registered and without registration. In this study both protection type are discussed. The reader would get knowledge about the Community Design and on the other hand would have an idea about the Community Trademark containing parallel logic. In this study, it was handled in detail the matters such as how the registration of the Community Design is made, what the required documentation is, nullity, the legal transactions. The study named Design Law has a feature of being unique in its field. In the study, the matter of legal protection of the designs are examined both theoretically and practically. Especially the regulations on the European Union law which is the referring law to the matter was examined and the national and international doctrine was included. In the study by examining about 100 decisions of the Supreme Court it was lighted the practice. 4. Protection of Designs with Trademark, Copyright and Unfair Competition Legislation. Depending on the fast development on technology it has got easy to copy the elements subject to copyrights. For example, it is possible to spread a music work around the world in a few seconds through internet. Malicious people who take advantage of this prefer to gain easy income by infringing the rights of the copyrights’ owners. In Turkey trade of pirated goods exceeded trade of original goods and it caused economic crisis in music, cinema and publishing sectors. In the study, after a bird’s eye view on the IPRs, the questions which rights the intellectual and artistic rights grants to their owners, which civil and criminal lawsuits could be filed in case of infringement of the rights, what the tools and methods are used on fighting against piracy are responded and, and the study includes the criticism of the Law No. 5101 and the questions and responses about piracy. The study which is the first volume of the serial of the Applied Intellectual Property Law orderly presents all of the legislation in effect relating to the IPRs. In this context, the final version of our national and international legislation came into effect until March 1, 2005 and relating to the IPRs are covered in this study. There exist 76 legislation in this study composed 1631 pages and published in imported paper in yellow and of 45 grams. The study which is the second volume of the serial of the Applied Intellectual Property Law presents the theoretical and practical information on the matter. In this study, the copyright rights are examined in great details. The study is divided into two books: General Principles; Intellectual and Artistic Works. 5. Relation of Intellectual Property Rights with Other Legal Branches. The subjects are examined in the light of court decisions. In this study, it was included the full texts of 898 decisions of the Court of Appeals relating to Intellectual and Artistic Works. The general bibliography relating to IP was attached to the end of the book with the reference. By including article and concept indexes to the end of the volume, the work of the reader was made easier. The Design book which is the third volume of the serial of the Applied Intellectual Property Law presents the theoretical and practical information on the matter. In this study, designs are legally examined in all details. All decisions of the Supreme Court (620) between the years of 1995-2007 (expect the ones missed out) are included in the book as full text. The decisions relating to penal sanction are included in the book as well. The decisions of IP courts relating to the matter are also included as the occasion arises. The criticism of the decisions are made in detail. The indexes of the decisions of the Supreme Court, legislation and concept makes the reader’s work considerably easy. 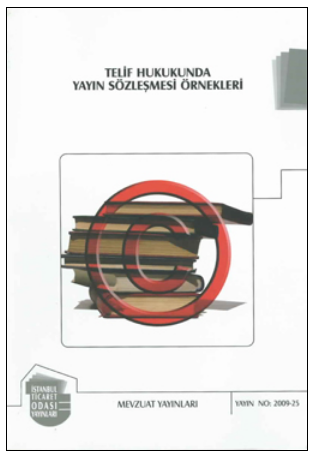 In Turkey the copyrights is one of the disputed and non-agreeable matters. The copyright contracts using in the practice are considerably problematic. The publishers and the authors, drawers and translators do not know what they sign since mostly general statements are used in the contracts. These kinds of contracts are deemed to be invalid by the courts. Due to the fact that extra technical and special knowledge is needed for the matter it became requirement to benefit from the experts. In order to provide the legal safety of the parties, in other words in order for the parties to know what they sign the safe contract drafted by the professionals are needed. In this study, after the general issues on nearly all areas of IP law, the authors focused on the emerging issues and problematic subjects. 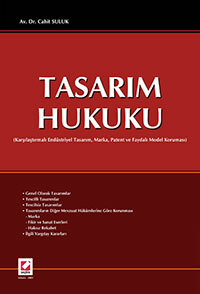 The subjects are presented in short articles format. 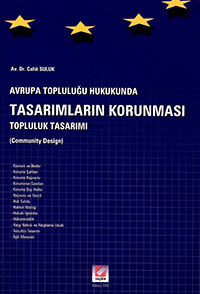 Some of the problems, examined in this study, arise as such by its nature, just like the problems in well-known trademarks while the others occurred because of the applications peculiar to Turkey, such as the protection of unregistered innovations or designs under unfair competition regulations for an unlimited period of time. The protection of the intellectual property rights is inevitable for each country today. At first, the international commitments force the countries to protect such intellectual property rights. The main question here is how would such protection be ensured? Every single country should answer this question in accordance with their own necessities and conditions. In other words, provided that not to be in contradiction with the international commitments, the countries may create their own intellectual property policies. It is not possible to establish an ideal intellectual property system, unless approaching to the problem in a systematic way and looking into the whole picture. Without the coordination of the elements which constitues the intellectual property system, the sysyem could not fully serve its functions. Our recommendations, to have an intellectual property system runs like a clockwork, are explained in this report. The answer of from where we should start the intellectual property law is more than one in the developed countries. However, there was no answer to this question in Turkey until recently. We suggest to you without hesitation to start with this work. It made the work academically strong to be prepared by its authors who examined the parts, of which they studied for doctorate. The work has three authors and it was written simply as a course book. On the other side, it is a work to be a guidebook for everyone newly introduces with the subject. In this study, by sometimes referring to the case study, it was pointed the practice out to the reader. The study was prepared in a manner not familiar to us in the law books. In this context, the expression was supported by diagrams. Q. Is Turkey signatory to international conventions? Turkey became a party to some conventions and international agreements, such as Paris in 1925 and Bern in 1952. Starting in 1995 Turkey approved the other fundamental agreements, such as WTO / TRIPs, PCT, Madrid Protocol, The Hague, Rome, WCT and WPPT. Q. Is multi-class trademark filing allowed in Turkey? Turkey adapts multi-class filing and registration system, enabling new applications to be filed in multiple classes, with a reduced official filing fee being applied to each class after the first initial filing. Q. Is there any specialized IP courts in Turkey to handle IP cases? 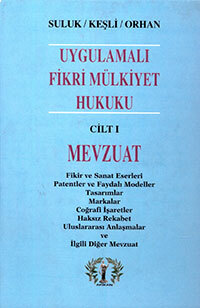 In 2001 the specialized IP Civil and Criminal Courts were established in Turkey. Since then the specialized courts have been handling the IP related cases. Currently there are more than 20 IP courts in Istanbul, Ankara and Izmir. In the other cities provincial courts are authorized to handle IP cases. Especially in the recent years both the number and the quality of the court decisions have been increasing and the case law has been developing rapidly with the decisions of both first-degree IP courts and the Supreme Court. Q. How the IP Court proceeding procedure? The written proceeding procedure is recognized as the general procedure for the civil and criminal court actions in Turkey. The proceedings in IP cases are carried out according to the general proceeding procedure. The judges, who command the IP courts, come from a law background and the technical issues are solved by the assistance of experts. Before IP court; invalidation of a present registration, cancellation of a given verdict, determination of the infringement occurred, determination of the absence of the infringement, assignment of the right as a result of usurpation, prevention of the infringement, annulment of the consequences of the infringement, compensation for the damages occurred, seizure of the products and instruments that are subjected to infringement, acknowledgement of the property right to the right owner on these products and instruments or their annihilation and announcement of the ruling to the public can be claimed. Q. How is the Criminal IP Court proceeding procedure? In the criminal cases, investigation and prosecution are subjected to a complaint by the right holder in principle. In other words, a public action cannot be filed ex-officio, unless the person, whose rights are violated, files a complaint against the infringers. There are also some exceptional cases, such as bandrol crimes, that are ex-officio investigated and prosecuted by the public prosecutors and the courts. The right owner may withdraw his/her complaint or renounce his/her action any time before the verdict is finalized. The case drops with the withdrawal of the complaint or the renouncement of the case. In the cases, where there is more than one perpetrator, the case drops totally even when the complaint is withdrawn only for one or several perpetrators. A person, who withdraws his/her complaint or the case, may file a complaint or a case again with respect to the same issue. Therefore, withdrawal of the case depends on the permission of the defendant. However, the plaintiff does not require the permission of the perpetrator to renounce the right of filing a complaint or a case regarding the mentioned violation. Yet the person, who renounces his/her right, is not entitled to file a case or a complaint on the same issue later on. The case will drop in the event of waiver of the right, just like it happens in the abandonment or withdrawal. Q. Is it possible to request a transfer of property right in criminal cases? In civil suits, the right owner may request the transfer of the property right of the counterfeit products and instruments to him/her. However in the criminal suits, it is not possible to grant the property right of the products and instruments to complainant. In practice, the civil and criminal cases are filed usually simultaneously. The possession of the counterfeit products is generally given either to complainant or to perpetrator in their capacity of trustee. In the proceeding phase, it can be alleged by both parties that the products that are subjected to examination are not the same with the ones that were seized. In order to eliminate this prejudice, to give the possession of the products that are claimed to be counterfeit to the court safety room is the most appropriate solution. On the other hand, just like in the general procedure, preliminary injunctions can be demanded in criminal and/or civil courts actions based on IPRs. Q. Who bears the burden of proof in IP related actions? The burden of proof is generally on the plaintiff. However there are some exceptions of this general rule. For instance, in the invalidation actions based on the non-use of the trademark, the burden of proof is on the defendant. In other words, in the invalidation actions based on non-use ground, it is sufficient for the plaintiff to claim that the trademark has not being used. If the trademark has actually being used, it is expected from the defendant to prove it. Otherwise, it is deemed as the plaintiff proved his/her case and the case would be accepted. Besides these exceptions, the burden of proof is always on the plaintiff. Q. What is the expected duration of the proceeding in IP court actions? 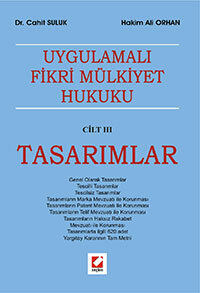 The duration of a civil or a criminal court action filed before the IP courts is approximately 1 to 3 years in Turkey. There are several reasons under this lengthy period of time. For instance; the courts generally appoint an expert panel for examination of the file and when the report is lacking or not adequate or upon the objections by the parties, it sometimes become compulsory to appoint a second or even a third expert panel for re-examination of the file. Thus, duration of the expert examination(s) on the file takes around 1 to 2 years. Upon the appeal of the verdict held by the IP court, the duration of the appeal examination before the Supreme Court takes approximately 15 to 18 months. Additionally, re-examination of the decision of the Supreme Court can also be demanded and the re-examination phase usually takes 6 to 8 months. Briefly, the approximate duration of the finalization of an IP court decision including the appeal and the re-examination phases takes 1 to 5 years. Q. What is the approximate cost of the proceeding in IP court actions? The cost of proceedings and the attorney fees in Turkey are very low compared to European countries. According to the data of WIPO Magazine, February 2010 Edition, for a patent case it is paid approximately 100.000 Euro in Spain, 80.000-150.000 Euro in France, 750.000-1.500.000 Euro in UK as attorney fees, whereas in Turkey approximately 10.000-50.000 Euro is requested as an attorney fee. The official costs of proceedings are also very low in Turkey. For instance, the official filing fee of an invalidation action is less than 100 Euro. In the further phases of the proceeding, the file is sent to a panel of experts, consist of 3 people. The fee for the expert panel is approximately 750 Euro. In the case, when the file is sent to a new panel of experts, the mentioned amount shall be paid for the new expert examination as well. On the other hand, the official cost of appealing an action is approximately 100 Euro. As in action for damages, in the cases, in which the matter of dispute is a certain amount of money, a certain percent of that amount, namely % 0.60 is deposited in the treasury of the court as the legal fee. Q. How to request for preliminary injunction? When there is a risk that the action in dispute might create an important danger or cause an irreparable damage, then the judge has the right to decide for a preliminary injunction against the defendant at the beginning of or during the court action. In this context the owner, whose for instance trademark has been damaged has a right to demand preliminary injunctions, such as the cessation of the acts of infringement of the trademark rights of the plaintiff, the seizure of the infringing goods or ordering the placement of security for damages to be compensated. Q. Is it allowed to request preliminary injunction with main court action? A preliminary injunction request can be filed before the filing of the main court action (ex-parte) or within the plaint petition at the time of the filing of the main action or during the trial at the first instance phase. It is allowed to file the request until the end of the first instance proceeding. If there is a preliminary injunction request prior to the filing of the main action, the subsequent court action (main action) must be filed within 10 days after the issuance of the preliminary injunction. All the evidences that will be submitted during the main court action must be submitted in advance when the request of preliminary injunction is filed. If the preliminary injunction request is ex-parte filed before the main court action, all the evidences that have already been submitted together with the preliminary injunction request must be re-submitted to the main file. This process prevents the advancement of the case and thus the decision and also brings extra costs. Therefore if there is not a very crucial and/or specific situation there is no need to request an ex-parte preliminary injunction prior to the main action and it would be better to file the request within the plaint petition for the main action. Q. How long it takes to get a preliminary injunction? The process may be concluded in 1 to 2 months if the judge decides to continue to the proceeding in the absence of the defendant, without sending any notification to him/her and also decides not to seek an expert report. However if the notification has made to the defendant and both of the parties has been called out to the courts and the judge decides to send the case file to an expert then this period may be lengthen to 10 months. If the action is also considered as a criminal act then it is preferable to file a criminal complaint to the public prosecutor other than requesting a preliminary injunction case when the length of the preliminary injunction proceeding in the civil courts are considered. The preliminary injunction decisions that are held within at least 2 months can be obtained in 2 to 3 days from the public prosecutor. Q. How is the procedure of securing the deposit in preliminary injunction? The judge can rule in favor of preliminary injunction either gratuitously or by obliging the plaintiff to secure a deposit in return. When the deposit is obligatory that the party who got the preliminary injunction decision in favor must secure the amount of deposit in Turkish Liras in cash or lay up the letter of guarantee to the court’s payment office. The letter of guarantee can only be issued by the national banks of deposit. In practice it is not possible for a foreign enterprise that has neither a domicile nor an official branch in Turkey to obtain a letter of guarantee from the Turkish deposit banks. As a result the foreign firms may only secure a deposit in cash. The deposit will be held in the pay office of the court until the decision of the first instance court is become final and binding. Yet if the case is dismissed in the end of the proceeding and the defendant suffer damages, for example because of the preliminary injunction preventing him from use of the trademark, the defendant is entitled to file an independent court action in order to compensate his/her damages from this deposit. However it has to be mentioned that the rejection of the main case does not necessarily mean that the preliminary injunction decision was unlawful and/or the defendant has been suffering damages because of this decision. The defendant is obliged to prove that he/she had suffered losses precisely because of the unlawful preliminary injunction and to submit solid evidences to show the size of his/her damages. Since the secured deposit is not being valued in any ways, the amount of money that was secured loses its value as the time passes in the course of proceedings. This is the most essential element that impels the firms to think twice before requesting a preliminary injunction. The amount of the deposit may vary according to the volume of the enterprises of the both parties and/or the context of the commercial activity that will be prevented by preliminary injunction. This amount can be a couple of thousand or of hundred thousand Turkish Liras. In the special cases such as an infringement of a pharmaceutical patent, one million Turkish Liras can be requested as the guarantee. Within this year in one of the cases where our firm is representing the plaintiff, it was held to a preliminary injunction against the biggest Turkish national bank by the IP courts under the obligation of securing an amount of 150.000 Turkish Liras (app. 30.000 Euro) as a deposit. As a result the use of the trademark in consideration has been ceased as a precautionary measure. This amount is one of the highest amounts that have been appraised by the IP courts so far. Q. What is the cost of expert panel in IP cases? In the practice of Turkish Law, the IP courts seek the assistance of experts nearly in every single case related to copyrights, patent, trademark and design law and unfair competition. The Supreme Court obliges the examination of experts even in the matter of similarity among trademarks and depends on the reason that the disputes regarding IP law necessitate special and technical knowledge. There are three people in the expert panels in general. 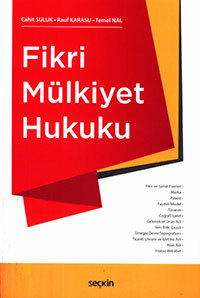 It is usually assessed 1.500 TL (300 Euro) in total as the fee of three experts, approximately 500 TL for each. However this amount may vary according to concrete case and can be raised to the amount of 4.500 TL (1.000 Euro). As there is a possibility that the case file may be sent to a second or even a third panel of experts according to the situation this cost can be doubled or tripled. The party who lost the case pays also the expert fees. However it must be mentioned that the plaintiff pays the fees of experts in advance after the court appoints the panel of experts. In the case of plaintiff winning the case the amount of money that plaintiff has paid as the expert fee will be collected from the defendant at the end of the trial. Q. Is there any obligation of securing deposit for foreigners? According to the art.17 of the Hague Convention there may be no security, bond or deposit of any kind imposed by reason of their foreign nationality, or of lack of domicile or residence in the country, upon nationals of one of the contracting states, having their domicile in one of these States, who are plaintiffs or parties intervening before the courts of another of those States. As a result nationals from the contracting states of the Hague Convention shall be exempted from this obligation for the cases filed in Turkey. 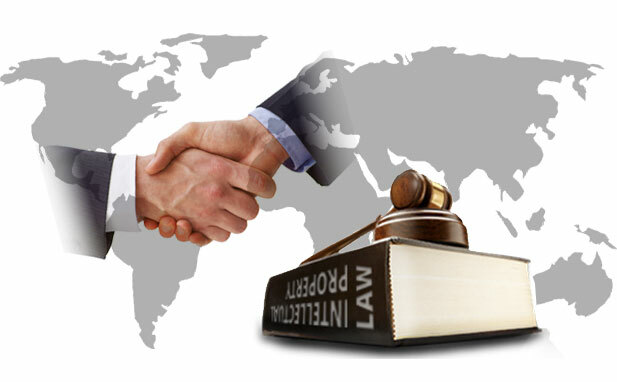 With the exception of Hague Convention and the bilateral agreements that recognize the principal of reciprocity among the contracting states, it can be easily declared that the ones who file or follow up or intervene in a case in Turkey have the obligation to secure a deposit. This procedural rule is enforceable for all types of cases as well as IP. The deposit that is demanded during the filing is an institution related to the procedural law. Therefore it is not possible to state that the principal of national treatment in TRIPs and/or Paris Convention shall dissolve the obligation to secure a deposit for a foreigner. In other words; the articles regarding national treatment among the contracting states in TRIPs and Paris Convention does not hinder the art.32 of International Private and Civil Procedure Code that obliges the foreigners to secure a deposit; nevertheless art.17 of the Hague Convention does. Turkish Patent and Trademark Office has applied discount up to 40% on the official fees of trademark, patent, design and utility model’s application, opposition, appeal, renewal, assignment and registration transactions. Please contact us from info@suluk.com.tr for more information.